Whether your loved one is a new diver or an experienced diver, this comprehensive digital product provides a detailed and interactive overview of scuba equipment maintenance and mechanics. Available on iOS and Android tablets, the PADI Equipment Specialist Touch covers everything from dive lights and underwater cameras, to exposure suits, cylinders and regulators. Through short video clips and 3D rotating images, the user gains an understanding into how and why certain pieces of scuba equipment work. 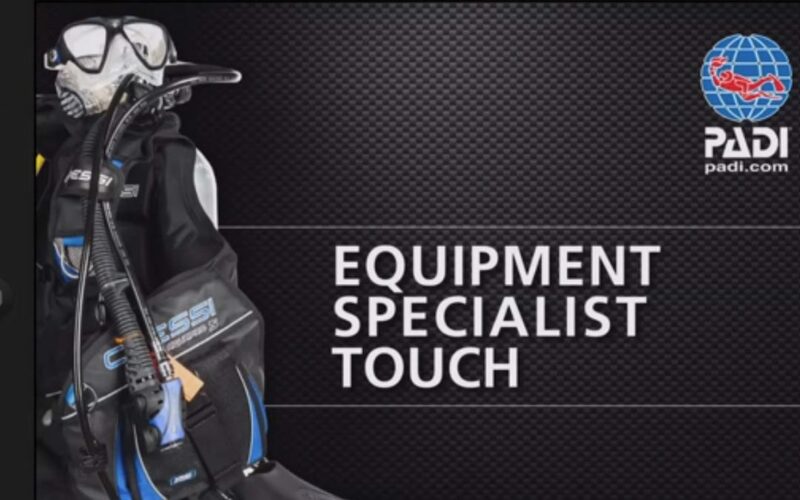 The great thing about the PADI Equipment Specialist Touch is that it can be re-visited time and time again. For any equipment issues or queries the diver has, this useful digital tool will always be on hand to help them work it out. The PADI Equipment Specialist Touch can also be combined with the PADI Equipment Specialist course, a one-day specialty with a practical component. In this course, students are taken through routines, recommended care and maintenance procedures, equipment storage, how to overcome common equipment problems and recommended professional maintenance procedures (possibly even a demonstration of repair procedures). Students may even get to jump into the water to try some new or unfamiliar equipment!